Note: To find out how much fluoride is in the following products, click here. “Virtually all authors have noted that some children could ingest more fluoride from dentrifice alone than is recommended as a total daily fluoride ingestion.” – Levy SM, Guha-Chowdhury N. (1999). Total fluoride intake and implications for dietary fluoride supplementation. Journal of Public Health Dentistry 59: 211-23. “Since [the 1940s], the percent of individuals consuming fluoridated water (in the US) has steadily increased. The increase in percentage of communities with fluoridated water has resulted in an increase in the mean content of fluoride not only in soft drinks and fruit juices, but in canned goods (notably soups), leading to increased intake of fluoride by individuals in communities with nonfluoridated water.” – Fomon SJ, Ekstrand J, Ziegler EE. (2000). Fluoride intake and prevalence of dental fluorosis: trends in fluoride intake with special attention to infants. Journal of Public Health Dentistry 60(3):131-9. “Because the main component of most beverages is water, the fluoride content of these products closely parallels the fluoride content of water used in their processing.” – Levy SM, Guha-Chowdhury N. (1999). Total fluoride intake and implications for dietary fluoride supplementation. Journal of Public Health Dentistry 59: 211-23. “We cannot… ignore water fluoridation as a major source of ingested fluoride.” – Heller KE, et al (1997). Dental Caries and Dental Fluorosis at Varying Water Fluoride Concentrations. Journal of Public Health Dentistry 57: 136-143. “[I]infant formulas reconstituted with higher fluoride water can provide 100 to 200 times more fluoride than breastmilk, or cows milk.” – Levy SM, Guha-Chowdhury N. (1999). Total fluoride intake and implications for dietary fluoride supplementation. Journal of Public Health Dentistry 59: 211-23. “[M]ore than 50 percent of infants are currently formula fed by 1 month of age, and these infants are likely to be continuously exposed to high intakes of fluoride for 9 or 10 months – a circumstance quite rare in the 1960s and early 1970s.” – Fomon SJ, Ekstrand J. (1999). Fluoride intake by infants. Journal of Public Health Dentistry 59(4):229-34. “Parents should therefore be advised that they may be able to protect their children from dental fluorosis by breastfeeding their infant and by extending the duration for which they breastfeed. When infants are formula-fed, parents should be advised to reconstitute or dilute infant formula with deionized water (reverse osmosis, distilled, or low-fluoride bottled water) in order to reduce the amount of systemically ingested fluoride.” – Brothwell D, Limeback H. (2003). Breastfeeding is protective against dental fluorosis in a nonfluoridated rural area of Ontario, Canada. Journal of Human Lactation 19: 386-90. “Breastfeeding of infants should be encouraged, both for the many documented, general health benefits and the relative protection against ingestion of excessive fluoride from high quantities of intake of fluoridated water used to reconstitute concentrated infant formula early in infancy.” – Levy SL, et al. (1995). Sources of fluoride intake in children. Journal of Public Health Dentistry 55: 39-52. “The recommendation is that bottled or deionized water be used instead (of fluoridated water) to dilute the formula.” – Ekstrand J. (1989). Fluoride intake in early infancy. Journal of Nutrition 119(Suppl 12):1856-60. “[F]ood processing often concentrates fluoride, and foods processed with fluoridated water typically have higher fluoride concentrations than foods processed with non-fluoridated water… A study that found marked differences between cereaals processed in fluoridated and non-fluoridated areas showed that cereals processed in a fluoridated area had fluoride concentrations ranging from 3.8 ppm to 6.3 ppm…” – Warren JJ, Levy SM. (2003). Current and future role of fluoride in nutrition. Dental Clinics of North America 47: 225-43. “[D]uring manufacturing, infant dry cereals are processed in a slurry and placed in a revolving drying drum. The water from the slurry evaporates, and the fluoride from the water remains in the cereal. Thus, the fluoride concentration of the water used during processing can substantially affect the final fluoride concentration… Infants who eat large quantities of dry infant cereals reconstituted with fluoridated water could ingest substantial quantities of fluoride from this source.” – Heilman JR, et al. (1997). Fluoride concentrations of infant foods. Journal of the American Dental Association 128(7):857-63. “Our data suggest that young children who regularly or frequently drink substantial quantities of [juice] possibly should not receive dietary fluoride supplements, since they might be at increased risk of developing dental fluorosis.” – Kiritsy MC, et al. (1996). 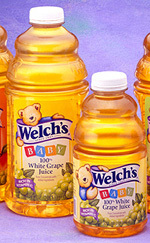 Assessing fluoride concentrations of juices and juice-flavored drinks. Journal of the American Dental Association 127(7):895-902. “Seventy-one percent of the [sodas] had fluoride levels exceeding 0.60 ppm, which is considered to contain sufficient fluoride so that dietary fluoride supplements are contraindicated.”- Heilman JR, et al. (1999). Assessing fluoride levels of carbonated soft drinks. Journal of the American Dental Association 130(11):1593-9. “Schulz (1976) found that nearly all soft drinks then manufactured in optimally fluoridated Baltimore (1.10 ppm) had fluoride concentrations of 0.8 ppm or greater. Shannon (1977) tested soft drinks manufactured in Houston, Texas… He found that fluoride concentrations… closely matched the fluoride concentrations of the bottling plants’ water supplies. This conclusion was also reached in other studies, including the authors’ published and unpublished analyses of fluoride concentrations in 332 soft drink products.” – Warren JJ, Levy SM. (1999). Systemic fluoride: Sources, amounts, and effects of ingestion. Dental Clinics of North America 43: 695-711. “Appropriate regulation of the fluoride content of tea commodities should be an urgent matter for public food safety policy.” – Cao J, et al. (2004). Fluoride in newer tea commodities. Fluoride 37: 286-300. “Instant tea, one of the most popular drinks in the United States, may be a source of harmful levels of fluoride… The researchers found that some regular strength preparations contain as much as 6.5 parts per million (ppm) of fluoride, well over the 4 ppm maximum allowed in drinking water by the Environmental Protection Agency.” – ‘Potentially harmful fluoride levels found in some instant tea”, Washington University School of Medicine, January 25, 2005. “Another important source of fluoride ingestion is tea…[T]he fluoride content of tea has been found to range from 0.1 to 4.2 ppm fluoride, with an average of about 3 ppm.” – Levy SM, Guha-Chowdhury N. (1999). Total fluoride intake and implications for dietary fluoride supplementation. Journal of Public Health Dentistry 59: 211-23. “[M]ost of the iced teas studied contained considerable fluoride concentrations. If infants ingest larger amounts of them because of their sweet taste, there is a risk of uncontrolled overdosing as a result of additional fluoride intake from other sources at the same time. ” – Behrendt A, Oberste V, Wetzel WE. (2002). Fluoride concentration and pH of iced tea products. Caries Research 36(6): 405-410. “The average fluoride concentration of infusions prepared from decaffeinated (green & black) tea in this study is 3.19 ppm and ranged from 1.01 to 5.20. This is unexpectedly higher than caffeinated tea and such a difference is statistically significant. If decaffeinated tea were prepared with optimally fluoridated water, the fluoride content would be increased by 1 ppm and would reach an average of 4.19 ppm.” – Chan JT, Koh SH. (1996). Fluoride content in caffeinated, decaffeinated and herbal teas. Caries Research 30:88-92. “[A]nalyses of nineteen California wines revealed fluoride concentrations ranging from 0.23 to 2.80 ppm (mean 1.02 ppm, with seven samples above the international limit of 1 ppm).” – Burgstahler AW, et al. (1997). Fluoride in California wines and raisins. Fluoride 30: 142-146. “Researchers from California State University in Fresno conducted a 5 year study (1990-1994) on vineyards throughout the San Joaquin Valley. They found that ‘[m]ultiple applications of Cryolite during the growing season significantly increase fluoride in wines.’ Notably they found fluoride levels between 3 – 6 ppm in Zinfandel, Chardonnay, Cabernet Sauvignon, Chenin Blanc, Thompson Seedless, Barbera, Muscat Candi, Ruby Cabernet; and levels between 6 – <9 ppm in French Colombard and Zinfandel… At 6 ppm one glass of wine (175 ml) would have delivered as much fluoride as about a liter of optimally fluoridated water!” – Connett E, Connett P. (2001). Fluoride: The Hidden Poison in the National Organic Standards. 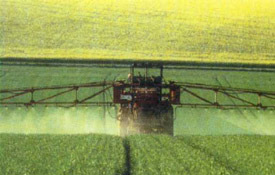 Pesticides and You 21: 18-22. “Beers brewed in locations with high fluoride water levels may contribute significantly to the daily fluoride intake, particularly in alcohol misusing subjects and this may contribute to alcohol-associated bone disease.” – Warnakulasuriya S, et al. (2002). Fluoride content of alcoholic beverages. Clinica Chimica Acta 320: 1-4. “Soda pop and beer bottled with fluoridated water contain 0.7 to 1 ppm fluoride; consumption of these beverages is almost certainly more variable among individuals than consumption of water... If beer contains 0.7 ppm fluoride, heavy beer-drinkers may ingest more than 4 mg daily from beer alone.” – Groth, E. (1973), Two Issues of Science and Public Policy: Air Pollution Control in the San Francisco Bay Area, and Fluoridation of Community Water Supplies. Ph.D. Dissertation, Department of Biological Sciences, Stanford University, May 1973. “[F]oods made with mechanically separated chicken have the potential to be a major contributor to total fluoride intake… Fluoride contributed by foods made with mechanically separated chicken could increase the risk of mild dental fluorosis for children less than eight years of age when combined with other sources of fluoride exposure.” – Fein NJ, Cerklewski FL. (2001). Fluoride content of foods made with mechanically separated chicken. Journal of Agricultural Food Chemistry 49(9):4284-6. “[W]e found that infant foods containing chicken were high in fluoride. Thus, any infants who regularly eat more than a couple of ounces of infant foods containing high-fluoride-content chicken would be at elevated fluorosis risk.” – Heilman JR, et al. (1997). Fluoride concentrations of infant foods. Journal of the American Dental Association 128(7):857-63. “Food categories with the highest mean fluoride levels were fish [2.118 ppm], beverages [1.148 ppm], and soups [0.606 ppm]. Individual samples with the highest fluoride levels were tea [4.97 ppm], canned fish [4.57 ppm], shellfish [3.36 ppm], cooked veal [1.23 ppm], and cooked wheat cereal [1.02 ppm].” – Agency for Toxic Substances and Disease Registry (ATSDR) (2001). Toxicological Profile for Fluorides: Draft Profile for Public Comment. U.S. Department of Health & Human Services, Public Health Service. “Teflon-lined cookware may contribute to the fluoride ingested by humans. Full and Parkins boiled fluoridated water at a moderate rate until a one-third or one-half reduction in volume was attained, then determined the fluoride content of the residual water… In Teflon-coated ware, the concentration of fluoride ion increased to nearly 3 ppm. This result requires confirmation; but, if it is correct, then the release of fluoride into foods during cooking in plastic-coated wares requires investigation.” – Marier J, Rose D. (1977). Environmental Fluoride. National Research Council of Canada. Associate Committe on Scientific Criteria for Environmental Quality. NRCC No. 16081. “In the 1960s, the widespread use of the inhalational anaesthetic methoxyflurane was associated with a significant occurrence of postoperative renal dysfunction. This was attributed to hepatic biotransformation of methoxyflurane and subsequent release of inorganic fluoride ions into the circulation. Based upon the clinical experience with methoxyflurane, serum fluoride concentrations exceeding 50 mumol/l were considered to be nephrotoxic… Enflurane and even isoflurane may, when used during prolonged operations, also yield anorganic fluoride levels in excess of 50 mumol/l. “ – Nuscheler M, et al. (1996). [Fluoride-induced nephrotoxicity: fact or fiction?]. Anaesthesist 45 Suppl 1:S32-40. “Sevoflurane administration can result in increased serum inorganic fluoride ion concentrations, which have been associated with inhibition of renal concentrating ability.” – Goldberg ME, et al. (1996). Sevoflurane versus isoflurane for maintenance of anesthesia: are serum inorganic fluoride ion concentrations of concern? Anesthesia and Analgesia 82(6):1268-72. “[T]here were significant increases in the serum fluoride in group I (isoflurane) at 5, 10, 24 and 48 hours. The peak serum fluoride was 35.4 (8.5) µmol/L at 10 hours. Group S (sevoflurane) also showed similar significant increases in the serum fluoride concentration compared to baseline at all times of the study. The peak serum fluoride in the group S was 71.2 (19.3) µmol/L at 24 hours... After prolonged anaesthesia, metabolism of sevoflurane to inorganic fluoride is of a greater magnitude than that of isoflurane and exceeds the nephrotoxic threshold.” – Abdel-Latif, MM, et al. (2003). Serum fluoride ion and renal function after prolonged sevoflurane or isoflurane anaesthesia. Egyptian Journal of Anaesthesia 19: 79-83. 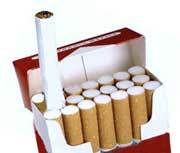 “Cigarettes may be another significant source of fluoride intake by humans.” – Marier J, Rose D. (1977). Environmental Fluoride. National Research Council of Canada. Associate Committe on Scientific Criteria for Environmental Quality. NRCC No. 16081. “Fluoride is a persistent bioaccumulator, and is entering into human food-and-beverage chains in increasing amounts.” – Marier J, Rose D. (1977). Environmental Fluoride. National Research Council of Canada. Associate Committe on Scientific Criteria for Environmental Quality. NRCC No. 16081. “Based on this review, we conclude that fluoride intakes of infants and children have shown a rather steady increase since 1930, are likely to continue to increase, and will be associated with further increase in the prevalence of enamel fluorosis unless intervention measures are instituted.” – Fomon SJ, Ekstrand J, Ziegler EE. (2000). Fluoride intake and prevalence of dental fluorosis: trends in fluoride intake with special attention to infants. Journal of Public Health Dentistry 60(3):131-9. “[T]he prevalence of dental fluorosis in the United States has increased during the last 30 years, both in communities with fluoridated water and in communities with nonfluoridated water.” – Fomon SJ, Ekstrand J, Ziegler EE. (2000). Fluoride intake and prevalence of dental fluorosis: trends in fluoride intake with special attention to infants. Journal of Public Health Dentistry 60(3):131-9. “The increase in [dental fluorosis] suggests that the total systemic fluoride exposure for children during dental development has changed since the 1940s.” – Pang D, et al. (1992). Fluoride intake from beverage consumption in a sample of North Carolina children. Journal of Dental Research 71: 1382-1388. “[A] few cases of more severe fluorosis can be found now in some communities. Because the prevalence of fluorosis is now higher than 50 years ago, we can conclude that fluoride availability… has increased in North American children.” – Rozier RG. (1999). The prevalence and severity of enamel fluorosis in North American children. Journal of Public Health Dentistry 59(4):239-46. “The prevalence of fluorosis at a water fluoride level of 1.0 ppm was estimated to be 48% and for fluorosis of aesthetic concern it was predicted to be 12.5%.” – McDonagh, M. et al. (2000). A Systematic Review of Public Water Fluoridation. NHS Center for Reviews and Dissemination, University of York. “Current studies support the view that dental fluorosis has increased in both fluoridated and non-fluoridated communities. North American studies suggest rates of 20 to 75% in the former and 12 to 45% in the latter.” – Locker, D. (1999). Benefits and Risks of Water Fluoridation. An Update of the 1996 Federal-Provincial Sub-committee Report. Prepared for Ontario Ministry of Health and Long Term Care. “[S]everal reports of prevalence for mostly mild fluorosis are in the 20 percent to 80 percent range.” – Levy SM, Guha-Chowdhury N. (1999). Total fluoride intake and implications for dietary fluoride supplementation. Journal of Public Health Dentistry 59: 211-23. Despite repeated warnings that humans, particularly children, are currently receiving too much fluoride from their diets (see section V), fluoride pesticides continue to be added to the food supply under extremely lax regulations from the US Environmental Protection Agency (EPA). Currently, the main fluoride pesticide used in the US is cryolite (sodium aluminum fluoride). The EPA currently allows up to 7 ppm of fluoride on over 30 fruits and vegetables treated with cryolite. This 7 ppm fluoride tolerance applies to: apricots, beets, blackberries, broccoli, brussel sprouts, cabbage, cauliflower, citrus fruits, collards, cranberries, cucumbers, eggplants, grapes, kale, lettuce, melons, nectarines, peaches, peppers, plums, pumpkins, radishes, raspberries, squash, strawberries, tomatoes and turnip. A 2 ppm standard has also been established for potatoes, which are second to grapes for total cryolite usage. The EPA’s standard of 7 ppm for fluoride residues is over 5 times greater than the standard set by the US Department of Agriculture (USDA) in 1933. In 1933, the USDA established the maximum level for fluoride residues on fruits and vegetables at 1.2 ppm, which was the same standard the USDA established for arsenic. While arsenic pesticides have since been phased out of use in the US, fluoride pesticides remain. In fact, the current tolerance levels for fluoride pesticides could become even higher – if the US EPA, under intense pressure from DOW Chemical, approves sulfuryl fluoride as a replacement fumigant for methyl bromide. If EPA approves sulfuryl fluoride (an indoor fumigant that has never before been used on food) as the replacement for methyl bromide, there will be a substantial increase in the fluoride contamination of the food supply. In a recent petition (February 15, 2002) to the EPA, DOW Chemical asked for extremely high fluoride tolerances on a wide number of common foods, including, 98 ppm for wheat germ, 40 ppm for wheat bran, 31 ppm for rice bran, 30 ppm for a variety of nuts, 28 ppm for corn meal, 26 ppm for corn flour, 25 ppm for millet grain, 25 ppm for wild rice grain, 25 ppm for sorghum grain, 25 ppm for wheat grain, and 17 ppm for oat grain! “‘In consideration of the currently understood mechanisms of cariostasis and fluorosis, our efforts should be focused on minimizing levels of ingested fluorides. The control of fluoride levels in infant formulas, the recent reductions in the fluoride supplement schedule, and the calls for lower fluoride pediatric toothpastes are all laudable efforts. We cannot, however, ignore water fluoridation as a major source of ingested fluoride.” – Heller KE, et al (1997). Dental Caries and Dental Fluorosis at Varying Water Fluoride Concentrations. Journal of Public Health Dentistry 57: 136-143. “[I]n most reports, a smaller proportion of children, often 10 percent to 20 percent of the study population, received several times as much exposure as the mean. Because of this finding, most authors commented that some children in their studies probably ingested sufficient quantities of fluoride from only the single source or category being studied to exceed the ‘optimal’ fluoride intake and be at increased risks of dental fluorosis.“ – Levy SM, Guha-Chowdhury N. (1999). Total fluoride intake and implications for dietary fluoride supplementation. Journal of Public Health Dentistry 59: 211-23. “[W]e recommend that uniform dosages of fluoride supplementation should be reconsidered… The FDA should examine the testing and labeling of [juices and sodas] with respect to fluoride concentration so that practictioners and consumers can make an informed choice. Thorough washing of grapes should occur to eliminate any insecticide contamination of the juice. Manufacturers and bottlers should identify sources of fluoride within their products, and when necessary reduce fluoride levels to age-appropriate levels, as recommended by the American Dental Association and the American Academy of Pediatric Dentists.” – Stannard JG, et al. (1991). Fluoride levels and fluoride contamination of fruit juices. Journal of Clinical Pediatric Dentistry 16(1):38-40. “When considering fluoride recommendations on a group basis, all major sources of fluoride ingestion, such as diet, dentrifice, and fluoride supplements, must be considered so that total daily intake of fluoride can be estimated. To this end, efforts should be renewed to determine and regularly monitor the fluoride levels of beverages and foods and have their fluoride levels made available to the profession and the public. If necessary, fluoride levels of infant formulas and other products should be modified. In addition, attempts must be made to avoid excessive ingestion of fluoride dentrifice and further investigate the cariostatic effect of lower fluoride concentration dentrifices.” – Levy SM, Guha-Chowdhury N. (1999). Total fluoride intake and implications for dietary fluoride supplementation. Journal of Public Health Dentistry 59: 211-23. “To limit fluoride intake to amounts < 100 ug kg d, it is necessary to avoid use of fluoridated water as a diluent for powdered infant formulas…” – Fomon SJ, Ekstrand J. (1999). Fluoride intake by infants. Journal of Public Health Dentistry 59(4):229-34. “When infants are formula-fed, parents should be advised to reconstitute or dilute infant formula with deionized water (reverse osmosis, distilled, or low-fluoride bottledwater) in order to reduce the amount of systemically ingested fluoride.” – Brothwell D, Limeback H. (2003). Breastfeeding is protective against dental fluorosis in a nonfluoridated rural area of Ontario, Canada. Journal of Human Lactation 19: 386-90. “The amount of infant foods containing chicken consumed should be considered when assessing the total fluoride intake, as it could contribute a substantial amount of fluoride. Children who regularly consume quantities of infant foods containing chicken should also be monitored to make sure that they do not ingest too much fluoride from other sources such as fluoride dentrifice, dietary fluoride supplements or fluoridated water.” – Heilman JR, et al. (1997). Fluoride concentrations of infant foods. Journal of the American Dental Association 128(7):857-63. “[W]e recommend that dentists who are considering prescribing dietary fluoride supplements for those with nonfluoridated water inquire about young children’s fluoride exposure from all important sources, including dentrifice, infant formula (type, brand, and quantity), water (sources, quantities and filtration system) and beverages (including specific juices and juice-flavored drinks).” – Kiritsy MC, et al. (1996). Assessing fluoride concentrations of juices and juice-flavored drinks. Journal of the American Dental Association 127(7):895-902. “To reduce the risk of fluorosis, it has been suggested that use of higher concentration of fluoride dentrifices by preschool children be avoided, that only small quantities of paste be used under parental direction and supervision, that further development and testing of lower concentration fluoride dentrifices be encouraged, and that dentrifice tubes dispense smaller quantities so that inappropriate eating of fluoride dentrifice is avoided.” – Levy SM, Guha-Chowdhury N. (1999). Total fluoride intake and implications for dietary fluoride supplementation. Journal of Public Health Dentistry 59: 211-23. “The early recommendations concerning ‘optimal levels’ of fluoride in water have not been reviewed since [water fluoridation began], despite developments which could drastically alter the underlying assumption that fluoride intake from sources other than drinking water is relatively low. For example, as fluoridation has become widespread, more and more food processing plants have used fluoridated water, with generally unknown effects on the fluoride content of processed foods. Also, dehydrated and reconstituted food products, virtually unknown to consumers in the 1940s when most of the fluoride surveys were done, are today commonplace. As a result, although orange juice and potatoes are inherently poor sources of fluoride, this is no longer so if they have been concentrated and reconstituted with fluoridated water.” – Prival M, Fisher F. (1974). Adding Fluorides to the Diet. Environment 16(5): 29-33. “Current standards for water fluoridation in the United States have stood since 1962. Many things have changed since then, however, and these data suggest that perhaps it is time to reconsider these standards.” – Heller KE, et al (1997). Dental Caries and Dental Fluorosis at Varying Water Fluoride Concentrations. Journal of Public Health Dentistry 57: 136-143. “[P]recisely estimating total fluoride intake is quite difficult in research studies and clearly not feasible in clinical practices.” – Kiritsy MC, et al. (1996). Assessing fluoride concentrations of juices and juice-flavored drinks. Journal of the American Dental Association 127(7):895-902. “If fluoride supplements are to be used, then accurate information on not only fluoride content of the residential water source, but on background levels of fluoride intake from food and beverages, type of feeding, kind of water used in reconstituting foods and beverages, use of beverages versus water at home or at child care, the possibility of a diffusion effect, and the use and ingestion of dentrifice and even mouthrinses and gels may need to be considered in making recommendations for appropriate dosages of fluoride supplements in children. These complex sets of data are difficult to obtain even on a research basis, much less in daily dental and medical practice.” – Levy SM, Guha-Chowdhury N. (1999). Total fluoride intake and implications for dietary fluoride supplementation. Journal of Public Health Dentistry 59: 211-23. “With no fluoride levels marked on the soft drink products or easily available from the manufacturers, it is not possible for clinicians or consumers to directly estimate fluoride ingestion from carbonated beverages. Therefore, to reduce the risk of dental fluorosis, dental and medical practitioners should be cautious about prescribing dietary fluoride supplements to preschool-aged children in nonfluoridated areas who consume large quantities of carbonated soft drinks.” – Heilman JR, et al. (1999). Assessing fluoride levels of carbonated soft drinks. Journal of the American Dental Association 130(11):1593-9. Next Post Why is it okay for cities to Poison Babies with Fluoride ?